Why Should I Pick Undercover Systems, Inc. Over Other Systems on the Market? There are many reasons to pick Undercover Systems over the other competitors on the market. One of the main reasons being we have a patented design that allows for our underdeck ceiling to be supported by the gutter system. The underdeck will be attached to the inside of the perimeter of the deck, so the deck is intact, safe, and sturdy. We have a superior design that won’t trap in debris and water, but instead, allows airflow, debris and water to flow freely. The other systems on the market just attach a ceiling under the deck. It lacks an airflow space and water flow process. This will cause your deck to age quickly. There is just no comparison with Undercover Systems and the other systems on the market! Undercover Systems uses high quality materials. We use a 22 gauge galvanized steel that has been specially prepared with a special coating of a Dura-Coat polyester paint, so your underdeck will be sturdy, stabile, and rust-resistant. Our steel is so stable, it bears the strength of up to 50,000 pounds.The other systems use an aluminum standing seam panel that is a light gauge and many times they use an aluminum flashing, which can’t stand up to a lot of weight. All of the materials that the other systems use are all stock products, which means the products aren’t specially made for each homeowner.Undercover Systems uses products and materials that are specially ordered and produced to be made for each home. Every home is different and the products and materials should be made for a custom-fit.We train all of our employees through extensive training until they are certified. Homeowners will only get qualified, trained and certified team designers with Undercover Systems. We provide our customers with a lifetime warranty that the other companies can’t match. The other systems on the market can’t compare to what we offer. 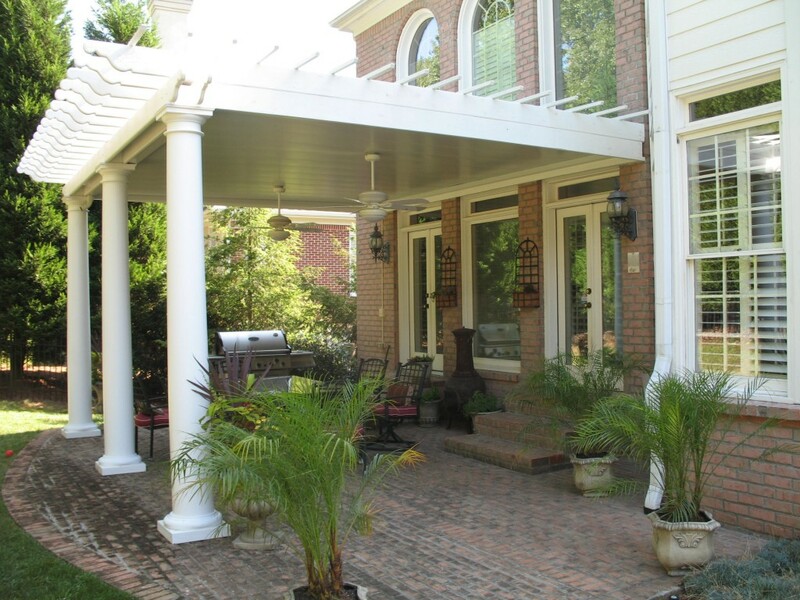 If you are interested in having an underdeck installed at your home, then give the Undercover Systems a call today. We use the highest quality of specially designed materials and a lifetime warranty! For more information on products Undercover Systems offers, click here! Is There Maintenance Involved With My Underdeck? The Undercover Systems has an amazing design for the underdeck. The clearspan design that we use takes the debris that falls through the cracks and pushes it out to the gutters, then washes it through the downspouts. The 5– 6 inches of space between the current deck and underdeck allow for this in addition to airflow. We have designed a self-clean to the underdeck, which provides a positive drainage with the underdeck. The debris gathers at the front gutter and washes out through the downspouts. Occasionally, a small clog could occur. This is rare, but it could happen. You can check if there is a clog by looking at the opening of the gutter that goes to the downspout. If there is debris present, simply push up the panel over the downspout and check if debris is collecting there. It will need to be removed if there is. You can remove it with a garden hose if you place it in the center of the gutter and flush the debris out through the downspout. All remaining debris will be removed, and your clog will be gone. To keep the underdeck free from clogs, simply take your garden hose and flush out the gutters and downspout. You can do this every four to six weeks. This will ensure that your gutters and downspout are free from any debris buildup. It only takes a few minutes and is easy to do. The Undercover Systems provides the homeowner with a low-maintenance product. The underdeck is virtually maintenance-free. The homeowner just needs to regularly use a water hose to flush the gutter and downspout. If you are interested in having an underdeck installed, give Undercover Systems a call today! Can Undercover Systems Match My Current Gutters and Siding? Yes, we can match the homeowner’s current gutter and siding. We offer bronze, tan, gray and white colors. One of these generally match a homeowner’s current siding and guttering on the home, but if a homeowner feels otherwise, we can paint the underdeck to a color of your choice. We want you to be completely happy with the performance of your underdeck, and that includes the appearance. We have a variety of paint colors that are a low gloss and polyester finish. We make sure that the underdeck will match your siding and guttering. Once the underdeck has been installed, we have the homeowner approve our work. We want you to inspect the color of your to ensure that you are completely happy with the appearance. We make sure the homeowner is 100% satisfied and happy before we even accept your final payment. We stand behind our product. The Undercover Systems will match your current siding and gutters. Every customer we have had has been 100% pleased with our color match. If you are interested in having an underdeck installed, give us a call today! You can find more information on our underdecks and other services, click here! Within the last year we have added a product that is sorely needed on homes that have little yard space or they may have space and do not have an outdoor living area. Our UnderArbor Pergolas solve the problem of needed space as well as add an attractive feature to your outdoor space. I have always appreciated the look of a pergola but doubted their practical use because of the inability to offer dry space. With our Patented Underdeck System installed, these structures become a useable, dry, outdoor living space. We have installed these on Pool Decks, Upper Decks on homes, as Carports and in Garden areas. Attached are a couple of pictures that show the beauty and practical use of these structures. One of the questions that is often asked, especially this time of year, is what can I clean my deck with that is safe for my Undercover System? The answer depends on the type of decking material you have. It is highly recommended to stay away from chlorinated bleach. This product is harmful to plants, metals, and is unsafe for the environment. Not to mention, it can cause damage to fasteners; some of which attach your deck to your home. Natural Wood Decks – Sodium Percarbonate is an excellent cleaning property that is safe for plants, humans and the environment. Synthetic Decks – We have submitted our metals used on our Undercover Systems® to a company called Corte Clean. This product is safe for fasteners, the environment. Their website is www.corteclean.com. If you use a pressure washer in conjunction with any of the above, use low pressure so that you do not raise the grain and damage your deck. If you have any questions, just give us a call! 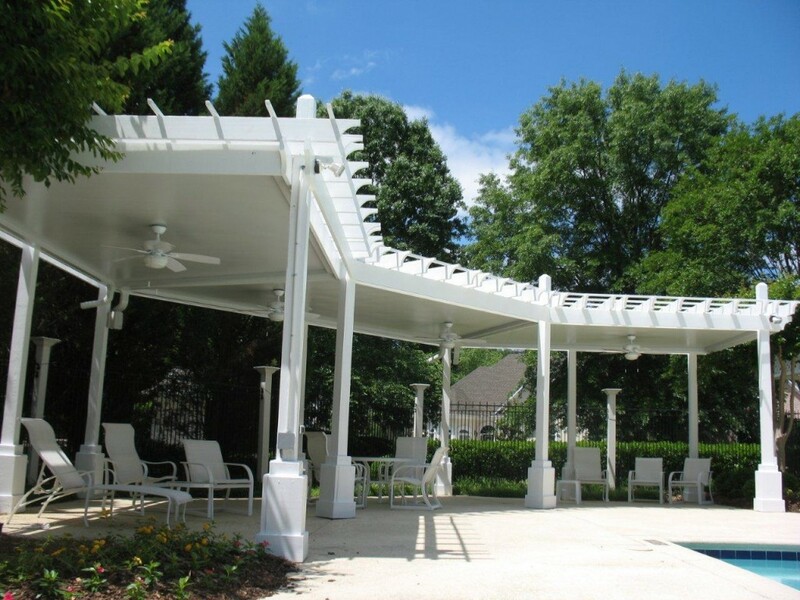 For more information on our underdeck systems, click here: http://southatlanta.undercoversystems.com.